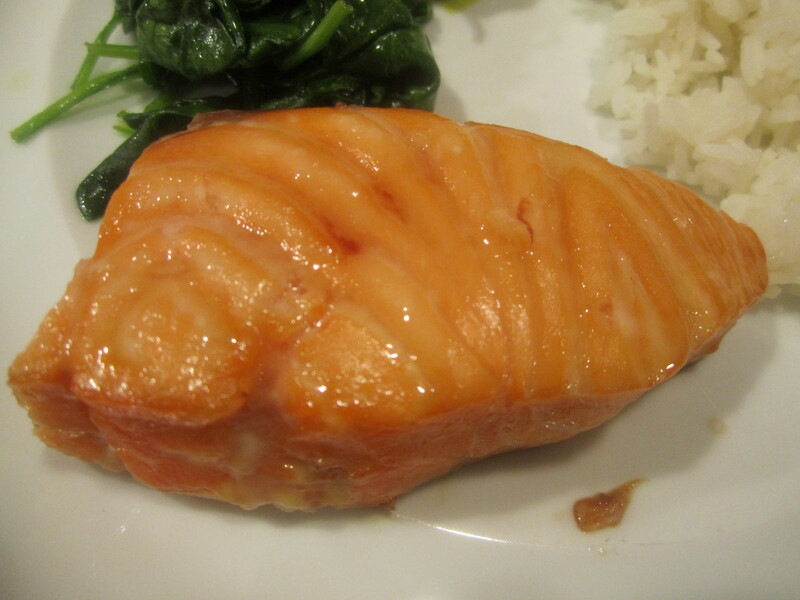 This is a very simple recipe for cooking salmon. 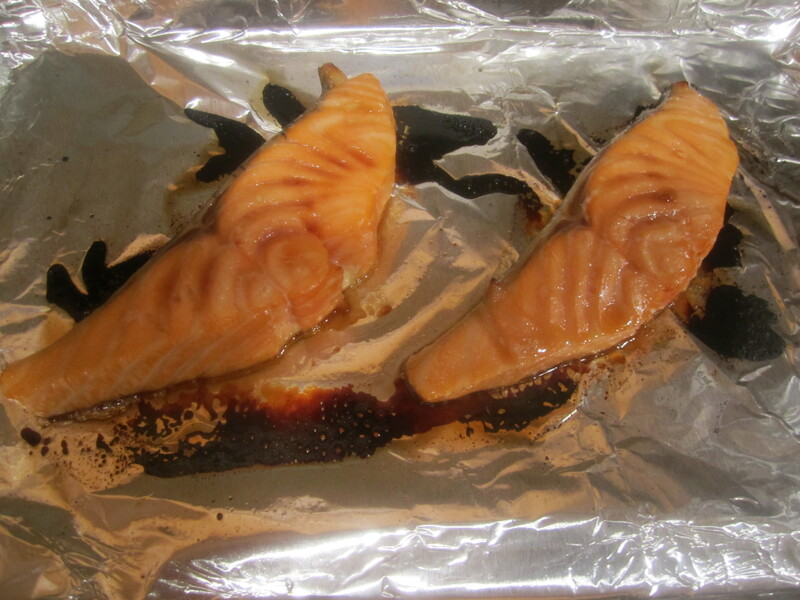 Especially useful if you are somewhat timid about cooking fish in general because this recipe is virtually fool-proof. I like to serve it with rice and sautéed spinach. The original recipe is pepper crusted but I am not a fan of this technique. If this is something you really enjoy, follow the link to the original recipe. If pepper crust is the way you are going then you will have to have the skin removed. Make sure it’s pure maple syrup you are using and not the pancake stuff that is really just flavored sugar. Put rack of oven at the top position. 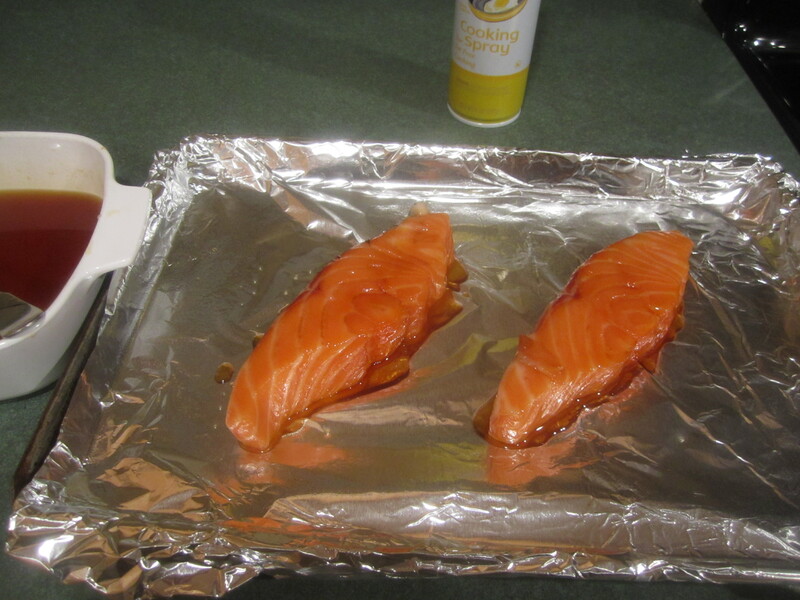 Cover cookie sheet with aluminum foil and spray lightly with canola oil spray. Heat oven to 500 degrees and put the fan on. Syrup might cause the fish to smoke so be prepared. 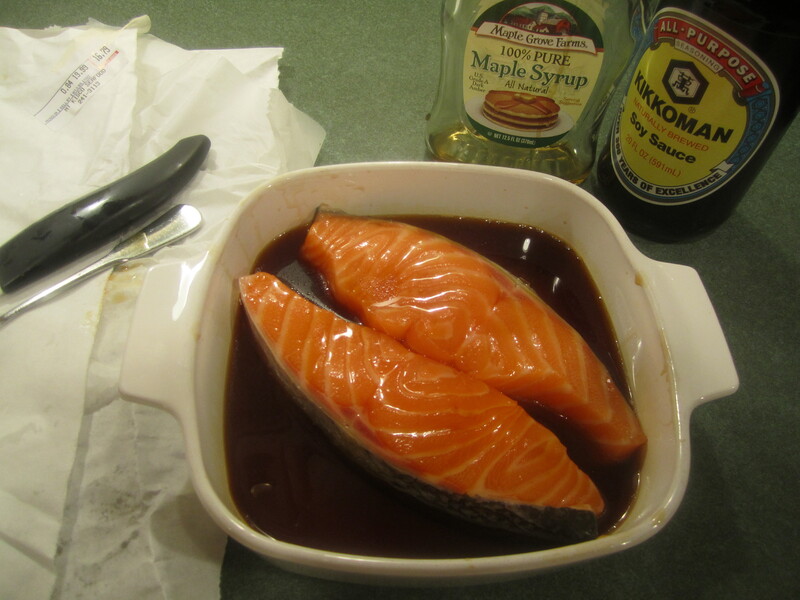 Place fish on prepared pan, skin side down if applicable, and bake for 7 minutes or until a sharp paring knife can be inserted into the fish with no resistance. I have made this many, many times and the 7 minutes is spot on, even though I test it anyway. Serve immediately and enjoy all those healthy Omega 3’s! 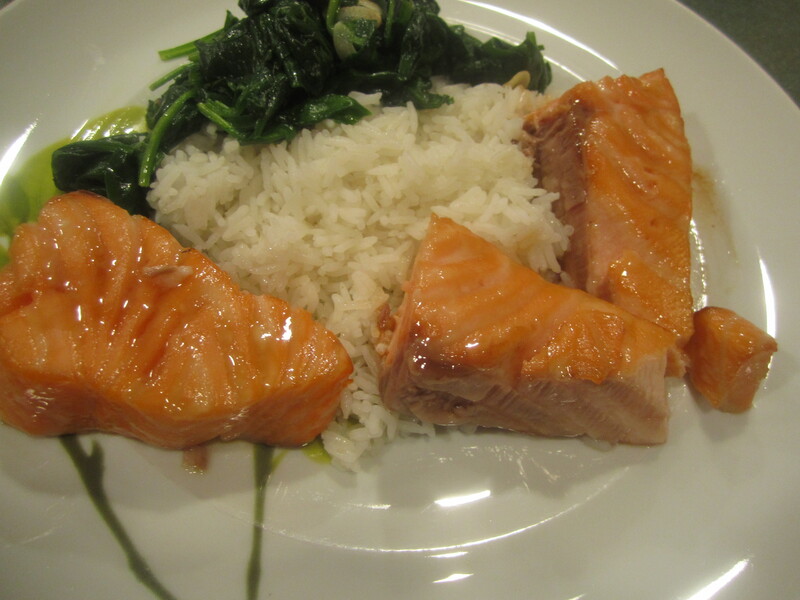 served with rice and sautéed spinach, yum!